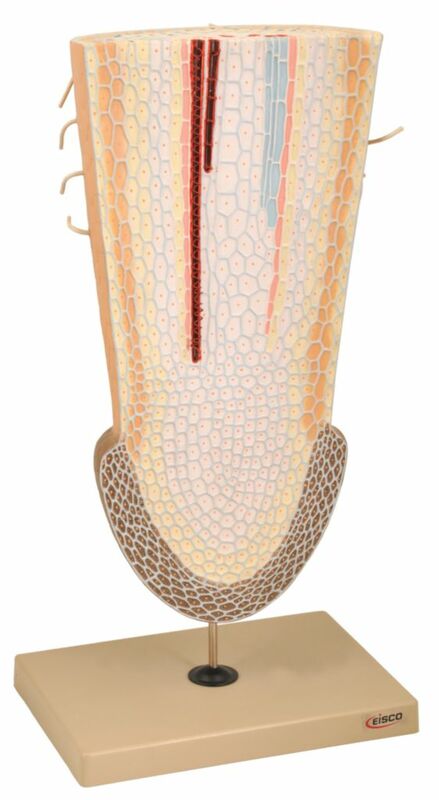 This model of root tip shows the structure of a typical monocot root in a cross section and longitudinal section. Root structure is easily examined including the root cap, root hairs, zone of distention, meristematic zone and zone of primary structure. Mounted on stand with numbered key card.